Natural horsemanship is dead. Long live natural horsemanship. 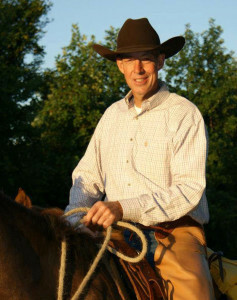 Natural horsemanship is a trending phrase that got attached to a style of work and a way of connecting with horses that Bill and Tom Dorrance offered up a few generations ago. It involved working with the horse on its behavioral level. Natural horsemanship is defined by the instinctual patterns and social understandings we see in a herd, or even between two horses. Most specifically, it embraces the concept of pressure and release. Pressure and release is defined by the micro-movements and movements between two horses. For example, the head turn or ear pinning of one horse will dictate the movement of a second horse. If the second horse doesn’t understand, the pressure or energy will increase. e.g., the first horse may charge or kick. When the second horse acquiesces, the first horse lets off the pressure or releases. Natural horsemanship is dead; the term has lost its meaning. But the work is alive and well. “People now realize that good practitioners don’t label it. It just is,” said Randy Rieman, who sees the phrase more as a clever marketing device than an apt description. “It’s like ‘natural’ potato chips,” said the Dorrance protege. 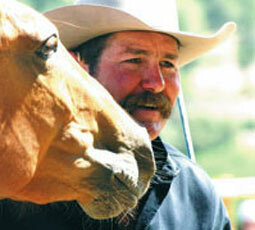 Pat Parelli is the foremost advocate of natural horsemanship. 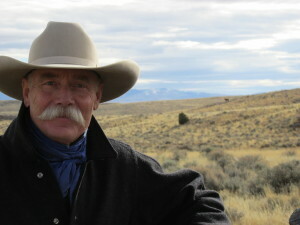 His program, established in 1981 and now with millions of followers, is based on “keen observations of horse behavior, psychology and communication,” according to the company web site. Back in the 1980’s, Parelli methods were hailed as fresh and inspiring. With clever lingo and accessible exercises put forth in DVDs, Parelli and his wife, Linda, gave horse owners new insight and access to their equine partners. They made pressure and release fun! But just as the public is becoming savvier to food ingredients (Eaters long ago dismissed ‘natural’ as a word with no real meaning. ), riders are becoming more knowledgeable about the wider knowledge base of effective, humane horse handling. More and more of us recognize that force and dominance are ineffective training methods. We know punishing equipment and management techniques do not yield gains and can, in fact, foster some seriously negative consequences. But more specifically, we are realizing that natural horsemanship is not something to “follow.” As Rieman said, it just is. We are learning to get great results by simply thinking more like a horse. Natural horsemanship is dead as marketing jargon, but it’s alive as a foundation for whatever style of horsemanship we practice, be it dressage, Vaquero horsemanship, trail riding, or cow work. Consider the phrase: “Do unto others as you would have them do to you.” It’s not only biblical; it’s a universal maxim found in multiple moral-based texts. So, too, with the overarching message of natural horsemanship. There’s still plenty of progress to make. Getting owners to swap their age-old presumptions of horse handling for a totally contrary, ‘whisper-y’ alternative is a challenge. Check out this feature on Animal Intelligence. 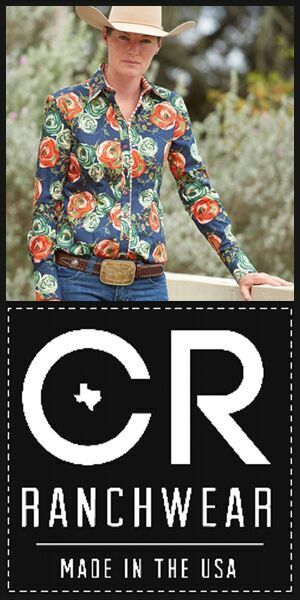 Posted in Clinicians, General and tagged Jim Thomas, linda parelli, natural horsemanship, pat parelli, Randy Rieman. Bravo….great article! The term “natural horsemanship” has been over used in marketing, as you point out, and not all of those trainers touting the phrase on their websites and DVDs are very good at real natural horsemanship. The term is starting to make me cringe. It is still important for us end-users to seek out what is really behind the marketing jargon and find out what training techniques are truly beneficial for our horses and ourselves. To me ‘Natural Horsemanship’ means looking at things from the horse’s point of view, understanding what is important to them, and learning how to provide this for them. It means learning how to read horses and how to communicate to them in ways they clearly understand. It means developing feel, timing, and balance. It means understanding that each horse is an individual and a certain approach may work with one horse, but not with another. It means being flexible and adjusting to fit the situation or horse. It means fairness and being as gentle as possible, but firm if necessary. It means learning how to be assertive without getting aggressive, mean, or mad. It does not include punishment. This all takes patience, observation, and self-mastery. I learned all this from Parelli Natural Horsemanship, and thank goodness for that, or I might have gotten out of horses all together. I learned how to view other trainers and their approaches through this lens. There are those out there who have similar mindsets, no matter if they label it ‘natural horsemanship’ or not. Horsemanship is an art, and I admire anyone who rises to the challenge. I don’t worry about what someone decides to name it. Thanks for your comment! Here’s our hesitation with focusing solely on science such as Classical Learning and Operant Learning. Like other specific “styles,” it’s self-limiting and sometimes does not take into consideration other elements at hand. Temple Grandin, for instance, wrote critically about classical learning theory which assumes, for instance, that animals develop behaviors from direct experience. “That’s logical, but doesn’t correspond to reality,” said Grandin. Strange that you say classical and operant conditioning is a style of training, it isn’t. This underpins everything we do when we are with our horses. Pressure/release is negative reinforcement – the removal of the aversive stimulus (pressure is what reinforces. However first the aversives stimulus has to be used to ask for the behaviour – the pressure. We need to understand how horses (or any mammal) learns, before we can be effective trainers. We don’t need cookbook methods of training just an understanding of the basic cncepts of learning and the ethology if the species we are training. Too many people follow blindly one method or another and don’t train the way the horse in front of them learns. I would love it if people would incorporate current knowledge of Biomechanics in their horse training . Natural sounds real catchy but what about knowledgeable horsemanship? There are do many conflicting theories on training methods, people using outdated methods and have no knowledge of the consequences of their methods. Im not sure if I should be proud or not so proud, but It was myself and Pat who brought rhe concept of “natural horsemanship” to the world. Linda did not legitimately come into the realm until 1993. Sorry, I had to stand up for myself. To Karen. My husband and I attended the first horsemen’s reunion in Paso Robles. We enjoyed dinner and conversation with Pat and your son. Your son sung your praises as an amazing trainer and business woman. I am kicking myself for not finding you in the croud to meet you and shake your hand. Your knowledge did not go unnoticed, and I knew it was true when I heard it from your greatest fan, your son. Natural horsemanship has helped millions of people be better with horses. The gimmick is to spread the word to take away old methods and let as many people no a better way with horses. Many horses are more understood. Every thing has a name and this has a simple message for every one to understand the meaning. Most trainers have used the basic principal and now there goals are unlimited. The marketing tool has made a better world for the horse. It means fairness and being as gentle as possible, but firm if necessary. It means learning how to be assertive without getting aggressive, mean, or mad. It does not include punishment. Horses around the world can be grateful that Pat Parelli brought natural horsemanship to the masses. Their lives are better because of it. My dressage trainer told my former husband to have my 9 month old filly put down because she was going to kill someone. I was unwilling to believe that, so I talked my husband into attending a Parelli event. We had a chance to share our story with Pat. He told me to fire the trainer and keep the horse. But.. he was clear that I was to put the filly in a pasture and stay away from her until I had the savvy to be with her. In the meantime I was to learn his program with her dam. He said not to touch that filly until I was ready. For me… that was several years. That filly just turned 15, and she is the horse of my dreams. It was along road, but in the process she became my best teacher and I transformed from a “rider” into a “horseman”. I will forever be thankful to Parelli Natural Horsemanship. This article was right on in. So many ways… however, Natural Horsemanship is far from dead. It is alive and well.